Why can't your laundry room be as dressed as the rest of your home! 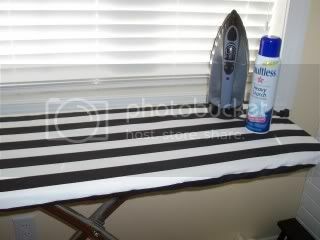 Beautiful custom fabric ironing board covers are made with an elastic band at deep hem to keep a nice tight fit. 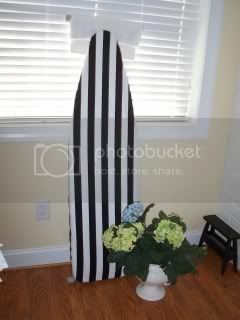 Made to fit any standard ironing board. Covers are approximately 60 x 20 including hem. 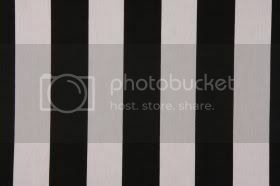 This cover is made with Canopy Stripe in black and white: a beautiful stripe fabric with 1.5 wide stripes. Does not include pad.